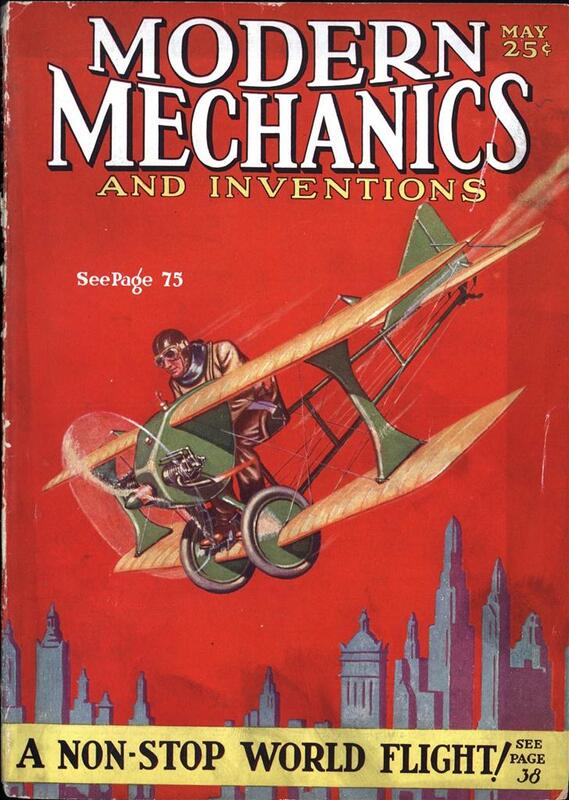 AN IRON bar which floats in the air in apparent defiance of the law of gravity was recently exhibited by the physics department of the University of California, but the professors made no claim to supernatural ability. The metal “wobbly bar” floated between two guide posts on either end of a wooden base in which they were mounted. 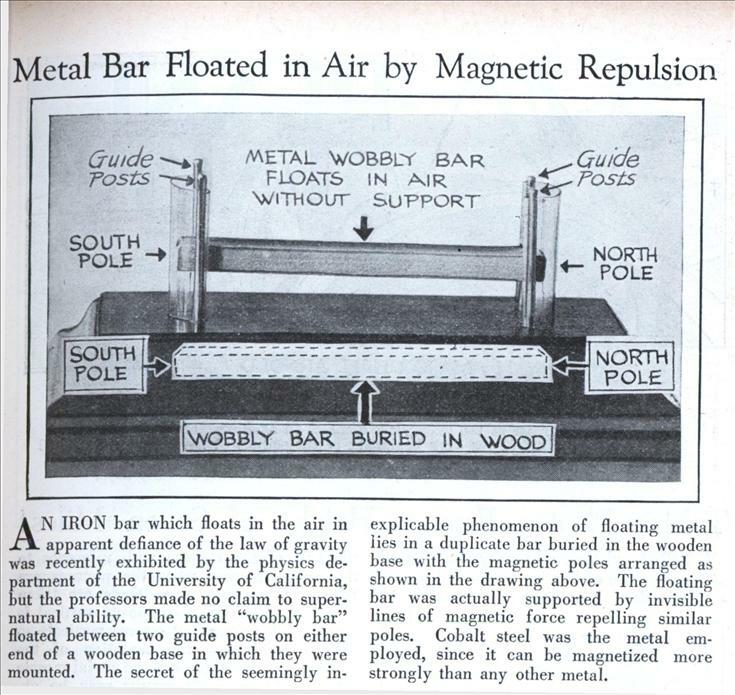 The secret of the seemingly in- explicable phenomenon of floating metal lies in a duplicate bar buried in the wooden base with the magnetic poles arranged as shown in the drawing above. 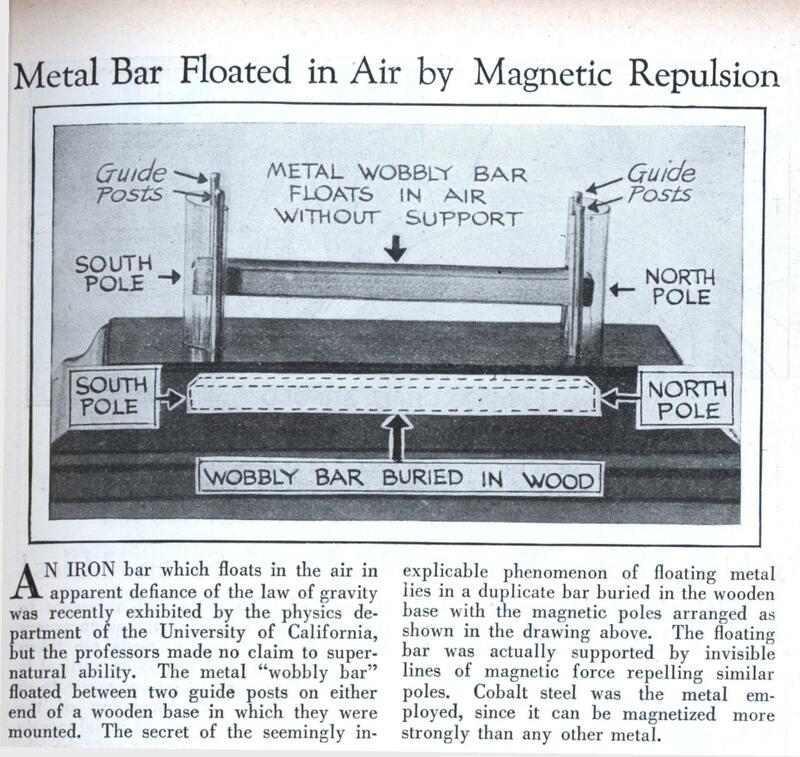 The floating bar was actually supported by invisible lines of magnetic force repelling similar poles. Cobalt steel was the metal employed, since it can be magnetized more strongly than any other metal. I’ve seen that quantum locking video a few times and every time it blows my mind. I love how insistent the guy is on correcting “floating” to “locked,” but never explains what it means to be quantum-locked. I’d also really like to see what happens if you drop the disc from a height, and heck, I’d love to play with it myself just to feel how the fields interact or if there’s any sort of resistance or whatever. There’s a lot of fun you can have with supermagnets, Ever see a “Gaiss Gun”, with the multiple magnetized ball bearings? You roll one in one end, and the last one shoots at the other with scarey speed.